In the market for a car that grabs attention and turns heads with its approach? With the sleek 7 series BMW now on offer at Pfaff BMW, you’ll demand respect every time you pull up to your destination. Mississauga residents are invited to read this article to learn more about this sublime machine before heading into our local dealership to test drive one today! 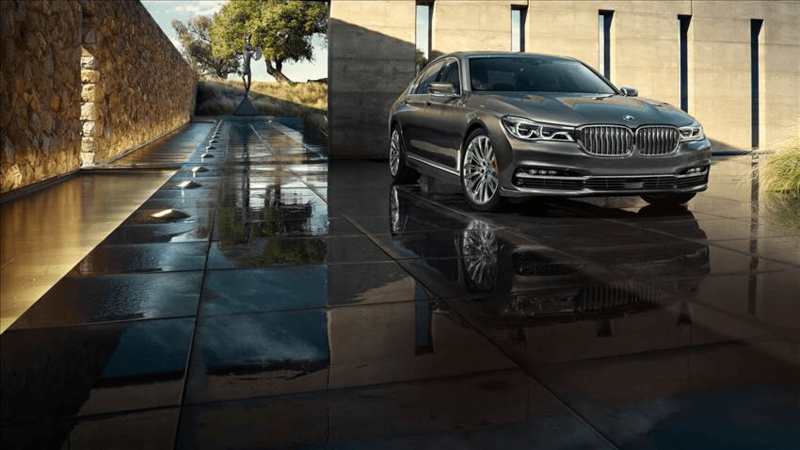 From the moment you lay eyes on the 7 Series Sedan, you are instantly captivated by the distinct front apron, displaying its strong kidney grille, complete with lower air intakes and dynamically designed Air Blades as it commands your attention. The exceptional presence of this elegant car is made even more powerful by the height of the vehicle, as the 20-inch wheels accentuate the subtle wheel arches. The all-new BMW M760Li xDrive Sedan with the mighty V12 engine is yours to discover. Arrive on time and in style, whatever destination in mind- thanks to the innovative digital services of the BMW 7 Series Sedan. Connected Navigation provides you with the best options to make your journey as comfortable and personalized as possible. Operate various vehicle functions using the BMW Connected App, ensuring a seamless connection with your smartphone with intimate and fast interactions. Or let the 7 Series aid you in everyday driving with numerous driver assistance technologies, such as night vision assist with pedestrian detection, a surround-view parking camera, parallel parking assist, a head-up display, lane keep assist, front cross traffic alert, stop-and-go capability for adaptive cruise control, and semi autonomous steering with the Traffic Jam Assistant. Looking to take this sturdy and sleek machine out for a test drive? Mississauga drivers interested in getting behind the wheel of one of the 7 series models should visit us at Pfaff BMW, at 4505 Dixie Road, to access our extended test driving options today. Please feel free to continue to browse through our website, or click here to find our contact information, to fill out our contact form for further assistance, or to learn more about this thrilling new sedan.